With the world once again filled with anticipation and dread of revolution, it is reasonable to examine what relevant past events our predecessors experienced. This is the third part of a series addressing the Arab Uprisings, this one on the new elitism of the Arab world. Figuring out the cause of the uprising is different from why it's perpetuated. I return to this blog after a break, with delight. I would like to continue the unpacking I started in the first post (here) by addressing a methodological point about the question causality. We need to separate the question of causality into two parts, in the Syrian and other cases: 1) What caused the uprising? And 2) What perpetuates the uprising? The answers are different. The first deals primarily with local factors and the second with a combination of factors tilting towards external ones. Even in dealing with the first question of causes, we must separate the structural from the circumstantial, by separating between the large structural reservoir of causes that built over time and the immediate causes that instigated social mobilization on a large scale. 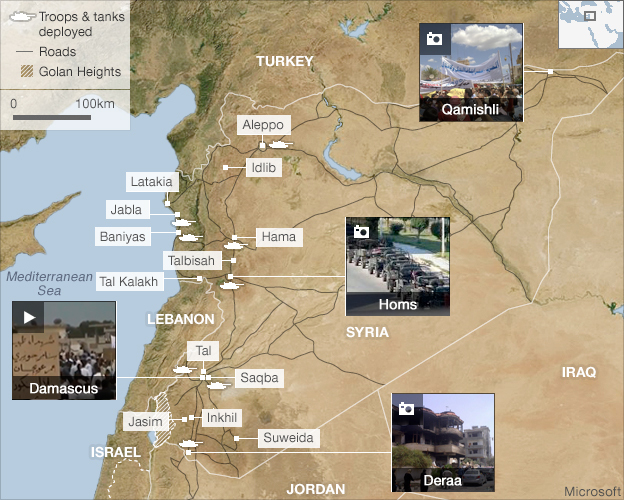 Syria, is a good case here. Herein, I will address the question of structural causes. The question of what instigated the uprising is less complex, and merits a detailed treatment once more information is available, though the facts are not too controversial. Inspired by the Tunisian and Egyptian experiences just one to two months prior, the narrative of the young kids who called for the regime’s fall on the walls of their school in Der`a constituted the first flame that ignited the heap of hay accumulating for decades. Surely, the local strongmen’s brutal response guaranteed the wider mobilization there at first, but it was bound to happen after a few such dissenting attempts. The same incident, if it had occurred one year prior, would have fizzled out within days, if not less. However, the regional domino effect and the continuing collective focus on the broader context gave that incident prominence while changing the calculus of individuals vis-à-vis the risk and potential success of taking to the streets en mass, especially in the more rural areas and small towns. The rest is bloody history. The set of structural causes that I would like to highlight, beyond the constant factor of repression, relate to political-economic factors that have engulfed Syria since 1986, when the regime effectively began shifting its social and political alliances from labor to business. Namely, I am referring to the growing relationship in the past few decades between the political and economic elite in Syria, and its continued policy implications for nearly twenty-five years. This new nexus of power pervades most global political economies but produces deleterious effects to the extent that the context allows. In many developing countries, including Syria, it is associated with the protracted process related to the unraveling of the state-centered economy, which also constitutes the rolling back of redistributive policies on which the masses increasingly relied in the absence of economic growth. I must caution in the same breath against the emphasis on such factors as singular causes for the uprisings, in Syria or elsewhere. Instead, I address this factor as a central one, not the only, one. Thus, this cannot be a comprehensive account of structural causes. Politically, the new nexus of power between the political and economic elite in Syria seems to have buttressed authoritarian rule in Syria over the past two decades, whether or not other factors contributed to this outcome. This is not simply a function of “support” for the status quo by beneficiary elites, for this is the norm nearly everywhere. It is also a form of legitimation of a changing status quo because the corollary of this particular nexus of power involves various forms of “liberalization” or state retreat: this includes a “budding,” “growing,” or seemingly “vibrant” civil society that may be considered a sign of political “opening;” a “freer” economic environment in which the state gives up its monopoly over some sectors of the economy; and a large “private” sector that purportedly grows at the expense of the state-run “public” sector, giving way to a broader dispersion of resources with economically democratizing effects. Though these outcomes are pleasing to some external actors (including that amorphous conception, “the international community”), they are not felt in any positive manner by the overwhelming majority of the population, who must fend for themselves as public provisions, jobs, and welfare dwindle. Quite the contrary, the majority of the Syrian people have seen their fortunes decline with the deepening of this alliance between state and big business since the mid 1980s. Does every revolution need a counter-revolution? While we are focusing on the Revolution, I’d like to raise a point about the counter-revolution of Thermidor. I do recognize that at first the leadership expected little change, but the regime morphed into a counter-revolution after a couple of months only. And the next few months witnessed signaled a significant change from the most radical era of the Revolution. Some revolutions do not seem to have this occur. For example, Iran still awaits a counter-revolution; likewise the Chinese did not have one either as long as Mao was alive. The Russians experienced the NEP in 1921 and then turned back from the market and the revolution resumed, not to abate in a thoroughgoing way until Gorbachev took power. It’s too early to tell for sure, but Egypt raced to counterrevolution very rapidly. These ruminations suggest that counter-revolution needs some definition and that world history can give us some idea of what are general factors in creating such a retreat. What is most striking about the analyses to current times are that the parallels with the French revolutionary experience can so easily be made. Editor's Note: This is a guest post from the blog The French Revolution Network. David Andress is the blog's editor. I recently returned from a workshop at the University of Pretoria, organised as part of the project The Comparative History of Political Engagement in Western and African Societies led by a team at the University of Sheffield. As well as enjoying a very hospitable welcome, I also had a very stimulating series of discussions, which have given me much food for thought about further extension of the debate on ‘revolution’ in the modern world. While recent events have made us focus attention on ‘bottom-up’ revolutionary upheavals, the role of spontaneous interactions and technology in popular mobilizations, and the general question of ‘crowds’ and their agency, a closer look at African examples reminds us that ‘top-down’ modes of revolutionary activism also continue to have a strong role to play. Henning Melber offered us an excellent overview of the extent to which African liberation movements into the present continue to use the rhetoric of liberation as closure, of the achievement of a sort of ‘end of history’ through the movement’s leadership, and necessarily alongside that, the closing-off of possibilities for dissent. Such movements demonstrate simultaneous abilities to use, for example, laws established in the colonial period to repress opposition, and rhetoric that brands such opposition as neo-imperialist conspiracy. Lloyd Sachikonye observed how electoral processes in ‘liberated’ African nations were routinely undermined by violence, over 80% of which came from ruling parties and their affiliated organisations, and Brian Raftopoulos offered a vivid case-study of the steady destruction of an autonomous labour movement in Zimbabwe through its subordination to the demands of a ‘National Democratic Revolution’, that was in practice technocratic and authoritarian – and prejudiced against urban workers in general through its political powerbase in land-hungry war-veterans. David Anderson presented chilling evidence of the example that systematic persecution of Mau Mau soldiers by the British authorities in the 1950s gave to the essentially anti-Mau Mau governments of independent Kenya. Torture and shameless violence continued to mark politics throughout the late twentieth century. This included the astonishing story of Nyayo House, an office-block in Nairobi, completed in 1984, and later exposed as having purpose-built torture-chambers in a sixth-level sub-basement. Like many African conflicts, that in Kenya tangled the concept of ‘national’ identity within colonial boundaries with that of ethnicity, and lived senses of community. Baz Lecocq showed us how in Mali the ‘black’ Mande ethnic leadership took the post-independence lead in defining the supposedly egalitarian features of their agricultural traditions as Malian national identity, while treating the ‘white’ Tuareg of the north of the country as a deviant, lazy, backward-looking feudal remnant. Policies of forced settlement alongside continual cultural humiliations were a systematic effort at cultural delegitimisation, and at the heart of a movement towards open revolt from the Tuareg as socio-economic conditions worsened towards the end of the century. Finally on Africa, Emma Hunter offered a stimulating series of questions about how, outside mechanisms of overt violence, different mechanisms of public engagement could work with and across post-colonial governments. The tensions that result are illustrated in the history of Tanzania’s Ujamaa under Julius Nyerere – despite governmental claims, Swahili did not provide the common language to overcome tribal divisions, and movements to ‘villagization’ cut coercively across claims about cooperation and consultation. Nonetheless, organs including the press remained open as routes of dissent, even if having to tread a careful line of framing loyalty. What, for me, was most striking about all of these analyses was the extent to which parallels with the French revolutionary experience could so easily be made. It would be trite to rehearse these here, ‘as if’ the earlier merely fed unmediated into the later, but the discussions in and around these papers clearly showed that there is a wider comparison, and structural analysis, to be made. The various models of ‘bottom-up’ and ‘top-down’ revolutionary mobilization have clearly had a recurrent influence across the centuries of modernity – and indeed are a substantial constituent of ‘modernity’ as a concept itself. A global perspective shows us that we never did reach the ‘end of history’ so vaunted a generation ago, and for historians, there is much more reflection to be done on the cycles of hope and dread packaged as ‘revolutionary’ progress. I spent a good deal of the summer writing about how the Haitian Revolution and Caribbean slavery have been depicted in film. Many films depicting these subjects are disappointing, which inspired me to read some of the foundational scholarship on film and history, such as Robert Rosenstone’s. As Rosenstone has argued, historians are almost inevitably disappointed when they watch the events that they study depicted on screen. Scripts call for narrative structure that real history does not present. Fiction films on revolutions illustrate Rosenstone’s principle well. Real revolutions proceed haphazardly, with more monotony than viewing audiences will tolerate. Moreover, there are often so many actors involved in a real revolution that simplifications become necessary. 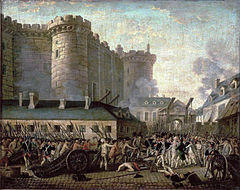 Filmic revolutions often present characters who are composites, so that viewers will have only a few characters to follow (see Fiction and Film for French Historians [link at http://h-france.net/fffh/tag/french-revolution/ ] for recent scholarly analyses of films on the French Revolution). I do have one favorite revolution movie – not necessarily for the accuracy of its portrayal, but because it is great fun: Sherman Edwards’ and Peter Hunt’s 1776 (made in 1972). The music is catchy, and the script is filled with witty gems. The film appeals to all age groups (I watched it this summer with an enthralled group ranging from small children to septuagenarians). Of course, many details in the movie could not pass the scrutiny of American Revolution specialists. The film papers over the subject of slavery, portraying it as a Southern issue while implying that northerners were all abolitionists. The film also oversimplifies Abigail Adams’ political interests, turning her correspondence with John into one chiefly concerned with love and sewing. One would also not know from the film that Thomas Jefferson and John Adams were close friends (“You’re obnoxious and disliked; that cannot be denied/…Mr. Adams, you are driving me to homicide!” Jefferson sings in “But, Mr. Adams!”). Despite these simplifications, 1776 offers many useful lessons on revolutions. One is how hard it is for people in real time to decide to raise arms against their government. Often today, the public imagines the American Revolution as clear-cut or even inevitable: “we” (Americans) decided to oppose “them” (the British) because they were being unfair. And yet….it was a wrenching decision for the Britons of North America to opt to wage war against their own countrymen, including their crowned King. “Sit Down, John” - in which members of the Continental Congress shout at Adams as he exhorts them to “vote for independency!” - is a fantastic song in this regard. In addition to sharing vivid truths about summer in Philadelphia (it is “hot as hell” and there are often “too many flies!”), the song illustrates how uncomfortable many delegates were with a radical notion like independence. The film also shows the critical roles of contingency and human factors in revolutions. Delegates sometimes had to leave the Congress for illness or family reasons, and votes could have gone in different directions depending on who was present on a given day and how they felt inspired to vote based on others’ decisions. Watching social movements explode on TV today reminds me, however, of one great shortcoming of 1776: it leaves out the violence that accompanies almost all revolutions. Soldiers in the film sing about the battle dead in Washington’s army, but such losses are off screen and bloodless. Moreover, when we hear about the physical harm inflicted by pro-independence forces against loyalists in 1776, it is as a joke. The stalwart advocate of independence Benjamin Franklin is delighted to hear that his son William (the loyalist governor of New Jersey) has been captured and ill-treated because of his pro-British beliefs. Today, fiction films are not our only option for watching revolutions unfold on screen. Journalists capture live footage on stations like CNN and Al-Jazeera, and participants can upload their own videos and pictures to sites like YouTube and Twitter. Even though they are not scripted like fiction films, we cannot forget that these glimpses of revolution are mediated in their own way; journalists are still making choices of where to go and what to film, and participants show only their own vantage point at any given moment. Perhaps violence is overemphasized in how we understand revolutions today, since the more boring parts of revolutions are less exciting to film (and also may take place in private spaces rather than public squares). With new media will come new ways of understanding revolutions, which in turn will offer us fresh perspectives on revolutions of the past. Nevertheless, it is critical to remind our students – and others - that whenever we see a revolution on screen, we are getting only a partial glimpse into revolutionary reality. One of the most stimulating books I have read in some time is Sophie Wahnich’s In Defense of the Terror: Liberty or Death in the French Revolution (published in 2003, but in English 2012). But it’s not the writing (which is murky) or its purpose (with which I generally disagree) but its viewpoint on Terrorism that can be instructive. In fact, this little book is an apologetic for the Terrorists in the French Revolution. And its value is that in associating herself so clearly with her subject, she does see them much as they saw themselves. In short, Wahnich argues that the Terrorists were motivated by the “dread” that they felt after the assassination of Marat. They then had acted to protect the purity and integrity of the “sacred” revolution that they had made to affirm the political equality of all. More originally, Wahnich also claims that the mechanism of the Terror led to more incarcerations than executions and that its organizational existence at least put limits on popular “enthusiasm.” In sum, the Terrorists were justified and their leadership contained excesses. Why do I find this interesting? In fact my own characterization of these people would be extremely different. But she may help explain not only the outlook of the Terrorists of 1790s but also of our day. Obviously, religion was not a factor for the French as it often is now and technology is far different, but her analysis helps us to understand the intransigence and determination of some current revolutionaries. It is especially useful because the eighteenth century Terrorists held these views in power, and so we might look at modern governmental as well as popular action through this prism. And, in short, Wahnich’s book, while wholly without a necessary distance or any critique, may get us pretty close to understanding the assumptions behind radicalism of many types. The history of modern Atlantic revolutions provides, perhaps, a few answers to these questions. We have indeed forgotten how long and difficult “our” revolutions have been. In very different times and for different reasons, occidental revolutionaries of modernity have dealt with such complex dilemma: how is it possible to create and preserve democracy in the context of revolution, civil war and military conflict? In America and in Europe of the end of the eighteenth century, many liberals and/or revolutionaries pragmatically justified political repression (of the Irish revolutionaries by British troops in 1798), massacres (the American “Indian Wars” of the 1790s), exceptional laws and even dictatorships (the French “Terror” between 1793 and 1794). Despite the liberal legend, occidental revolutions have never been beds of roses, but typically violent political transitions and civil wars. Our fragile democracies were born in bloody nurseries. They are much more the daughters of difficult compromises than pure political ideals. That is why what happens now in Egypt both deals with a civil revolutionary process and a military counter-revolution. The same disillusionment set in as the French Revolution progressed. In fact, in a superb article in the Chronicle of Higher Education published in 2006, Howard Brown of the University of Binghamton described how events of the Revolution presaged events of 2006. It seems to me that Brown's article actually does even better to foreshadow what has happened in Egypt the last month and especially this week. His article concentrates on the trajectory from constitutionalism to repression under Napoleon. The biggest difference is the incredible speed of the current transformation compared to two centuries ago. It took a month in Egypt for what transpired in France over a decade. This, of course, relates to the same acceleration in the revolutionary process that Alyssa Sepinwalldescribed elsewhere in this blog. In the spring of 2008 I attended a talk at the German Historical Institute given by Bärbel Bohley, one of the leaders of the democratic opposition in East Germany (DDR) in the late 1980s. Her talk was part of a series of reflections on the end of the Communist regime in the DDR in 1989 and the reunification of Germany that took place the following year. Many in the audience, me included, were surprised at Bohley’s bitterness over the results of Germany’s reunification after more than six decades of division. As Jack Censer’s post has pointed out, the role of the military in revolutionary situations is critical to understanding them. Yet, it varies so much that finding common threads can be extremely difficult, and even then misleading. Yet, clearly, they play central roles. Perhaps one useful way of exploring that is to examine the extent to which the military is unified in outlook -- ideological, cultural, social, and hierarchically -- or divided, most likely between officers and rank and file men, which in turn can reflect social or ideological differences (although there could be other fault-lines, such as religion or ethnicity). Moreover, this can change as the revolution progresses. Social scientists who study revolutions and other historical processes generally look for patterns and similarities. Historians, by contrast, have traditionally focused on factors that are specific to each situation, in each time and in each place. They seek to understand the particularities of each situation, rather than generalize about commonalities. On July 17, Deng Zhengjia, a Chinese watermelon seller, got into an altercation with chengguan (para-police) officers. The chengguan allegedly struck Deng in the head, delivering a fatal blow with a weight from his own handheld scale. Local police claimed that Deng “unexpectedly fell to the ground and died,” a statement quickly mocked online for its absurdity. Deng’s case sparked an outcry against the blatantly abusive actions of chengguan on Weibo, the popular Chinese micro-blogging platform. Stop Thinking of Only the "Arab World"
For now, most serious treatments of the Arab uprisings will remain inadequate from a historical perspective, including this one! The first objective is to avoid the outlandish or lazy analytical treatments that proceed from some idiosyncratic political or cultural essence, and/or those monist approaches that reduce outcomes to one variable. The political independence that the military often displays in the midst of revolutionary situations was strikingly absent in both the American and French revolutions. Both depended on militias composed of citizen soldiers. Even as an army was constituted, this remained the case at least for a good while. With the world once again filled with anticipation and dread of revolution, it is reasonable to examine what relevant past events our predecessors experienced. Inarguably, the past is at least a set of experiences that may be useful in considering the present. Even that relatively modest claim requires some hesitation in that historians do not write as oracles, somehow outside the fray. Politics, despite the best intention of scholars, inflicts this work. Nonetheless, reviewing the revolutionary past will be at least interesting and potentially instructive. Thus, the moderators propose to introduce questions relevant to current events with the notion that scholars who study revolutions throughout the globe will comment. Postings must be under 250 words and conform to scholarly norms.